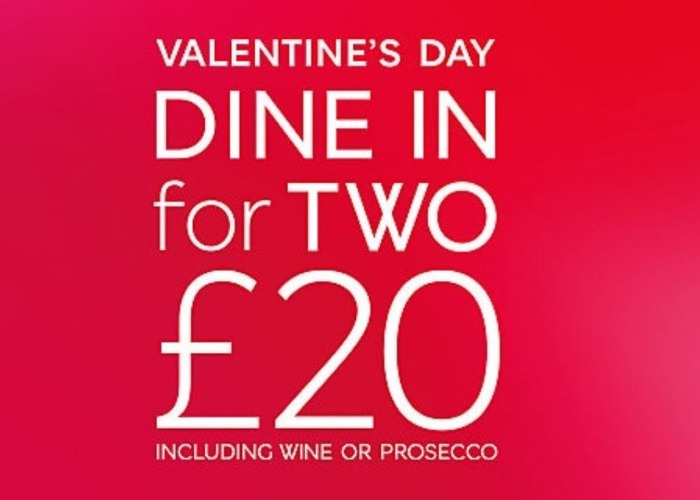 The M&S Valentine’s Day Dine In meal deal will set you back £20. This year, it'll be available until 16 February. Marks & Spencer has replaced it’s normal Dine In meal deal with a special Valentine’s Day offer. Unlike the traditional deal, which offers a side, main, dessert, and bottle of plonk, you’ll also get a starter and some heart-shaped chocolates (obviously) thrown into the mix. Sadly, it’s also more expensive at £20, almost twice the normal Dine In offer price of £12. The special is available in stores now and will run until Saturday (16 February). Here’s a complete list of what’s on the menu for Valentine’s Day 2019. But first, did you know you can earn points every time you buy anything from M&S with this credit card? You'll even get a welcome bonus worth £5 just for applying. Not for you? If you fancy home cooking, visit our sister site loveFOOD for some brilliant recipe ideas. Head this way for our weekly round-up of the best supermarket deals from Aldi to Waitrose instead.